You are here: Home / All Freebies / The Miraculous Journey of Edward Tulane FREE Reading Resources! The Miraculous Journey of Edward Tulane FREE Reading Resources! This is a guided reading packet and answer key for The Miraculous Journey of Edward Tulane by Kate DiCamillo. This is one of the most comprehensive reading packets you will find directly related to this book. Included are comprehension questions for each chapter with an emphasis on reading strategies such as: visualizing, summarizing, predicting, connections, and more. Also included is a list of key vocabulary for each chapter. 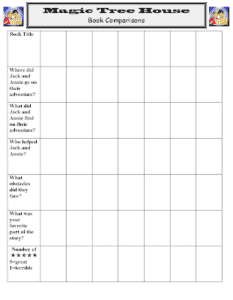 Also included is a guided reading rubric to assess your students, along with an assessment tool to use for scoring when working with groups of children. Students love the engaging questions, and you will find it a hit with your class! We have tons more popular guides to offer to make sure to check us out on TPT! Guided Reading Freebies for the Common Core! 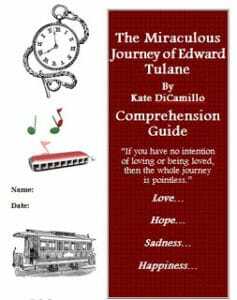 The Miraculous Journey of Edward Tulane FREE Guide!